Ingram Micro has been appointed as a distributor of Audio Visual specialist, Christie, for the Australia and New Zealand region. Operating as a global visual, audio and collaboration solutions company, Christie provides mid- to high-end projectors, video walls, audio and presentation solutions, along with micro-tiles, flat panel displays, and medical imaging solutions. 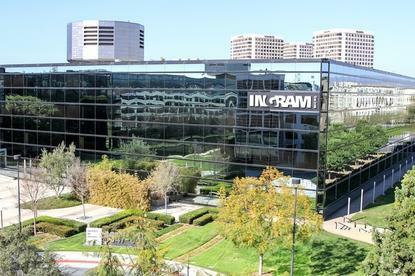 Christie Australia general manager, Michael Bosworth, said the company selected Ingram Micro because of its ability to provide "highly-targeted applications" for industry verticals and businesses. “With its robust networks and strong track record, it has the experience and capabilities to deliver our professional display products to a wider audience in both Australia and New Zealand," Bosworth said. "We look forward to working closely with Ingram Micro as our authorised distribution partner." Upon completion of the deal, Ingram Micro A/NZ professional AV general manager, Andrew Upshon, said the distributor has a "growing and dedicated specialist team" that provides a wide variety of solutions to an expanding professional AV market. "With the rapid merging of the AV and IT worlds, we feel we are in the best place to assist Christie to further develop and grow its footprint in the A/NZ market," he said. "Christie products suit the corporate, enterprise, education, media, and government sectors that Ingram Micro is involved in, especially in the pro AV segment, where we can provide complete solutions. "This new strategic relationship allows us to expand our already extensive range and offer our customers this selection of AV products."